General Electric (NYSE: GE) has long been considered one of the best-managed companies in the country. That is a major factor and it is a holding of legendary investor Warren Buffett. Those same features make an excellent stock to help finance long-term financial objectives. General Electric is a true multinational conglomerate. It operates around the world in industries ranging from healthcare to jet engines from its headquarters in Fairfield, Connecticut. There are divisions for energy management, power and water, and GE Capital, among others. With a market capitalization of more than $275 billion, General Electric is one of the largest publicly-traded companies on the New York Stock Exchange. GE has also been transforming itself over the last several years to continue to be at the forefront of a myriad of emerging technologies. Like Wal-Mart (NYSE: WMT) and Coca-Cola (NYSE: KO), there is nothing jaw-dropping about the financials of General Electric. Its profit margin is just under 10% — slightly higher than average for a member of the Standard & Poor’s 500 Index (“S&P Index”). For comparison purposes, the profit margin of Wal-Mart is only 4.40%. The forward price-to-earnings ratio is 15.22 for General Electric, which is better than the average of around 20 for a member of the S&P Index. Coca-Cola has a forward price-to-earnings ratio of over 18. Of note to investors is that Wal-Mart and Coca-Cola, like General Electric, are major holdings of Warren Buffett, too. Over the past five years, earnings-per-share decreased by 8.80%, due to the Great Recession. This year, earnings per share are up by 12.10%. Over the next five years, earnings per share are projected to rise by 9.90%, according to the Wall Street analyst community consensus. Good numbers, but not great. What has been very good has been the stock performance of General Electric this year. For 2013, General Electric has risen more than 30%. Over that period, the Dow Jones Industrial Average is up about 25%. General Electric has been strong in recent market action too — up more than 6% for the last month. Increasing the total return for General Electric is its above-average dividend yield. At present, the average dividend for a member of the S&P Index is around 1.9%. The shareholders of General Electric enjoy receiving dividend checks in the mail with a current yield of 2.79%. Moreover, General Electric has a history of increasing its dividend and financing stock buy-back programs to reward loyal shareholders. For a member of the Dow Jones Industrial Average, General Electric has a very high beta of 1.84. That means that the share price of General Electric moves up and down over 180% more than the stock market as a whole. By contrast, the beta for Wal-Mart is 0.41. For Coca-Cola the beta is just 0.48. 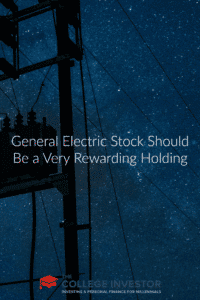 For patient, savvy buyers, that results in the opportunity to purchase shares of General Electric as it fluctuates, resulting in a lower price for the stock and a higher dividend yield for the long-term investor. Now trading around $27, General Electric is close to its 52-week high. It was just rated a “buy” by UBS with a target price of $29 a share. As there is a tiny short float of just 0.64%, few are betting that the stock price will fall. 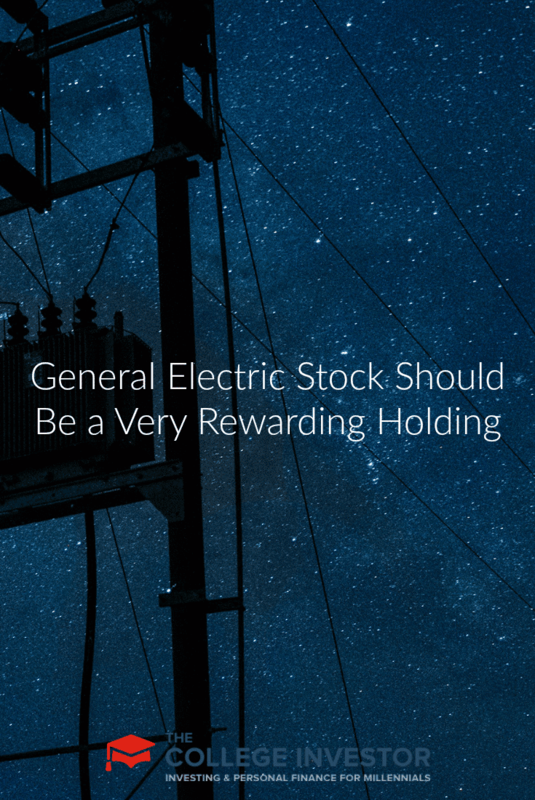 For long-term investors, General Electric should be a very rewarding holding with a robust total return. What are your thoughts on the future of General Electric? I’m still kicking myself for not buying GE when it fell under $10. I think they just sold or spun off their financial arm which was the part that was holding the company down so I think that’s a positive. I mostly invest in mutual funds but I do have some individual stock holdings. GE is one stock that I’ve been interested in investing in. I’m glad I didn’t do so right before the financial crisis because I thought about it at about $38. Then when it dropped like a rock, I wanted to buy it but didn’t.